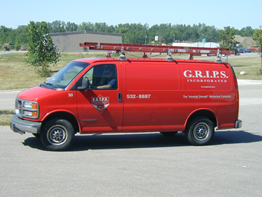 "saving the world one testimonial at a time"
Paul, I am very excited to support you, regarding our experience with GRIPS here at our Grandville Location. Since we have been working with you and your team this year, our branch has found a dependable partnership that has helped us achieve cost effective solutions, excellent service for the benefit of our members by way of quick response and seamless repairs. Your staff has been knowledgeable, efficient and always go the extra mile to provide us with detailed documentation that has been very helpful. Thanks for all of your efforts on our behalf! Since we switched to GRIPS over ten years ago we have had significant reduction in problems with our equipment and have seen our maintenance cost reduced. Great recommendations on repairs and when purchasing new. They are always there when you need them.